L.L.Bean has found themselves in a superpreppy pickle once again. After surviving the Great Duck Boots shortage of 2014, it seems that this winter is looking just as bleak and bootless. Bloomberg recently reported that even though the retailer has invested $1 million to expand its manufacturing operation in their two factories, we could see a repeat like last December when there was a back­ order for 100,000 pairs. "We are doing all that we can to make the boots as quickly as possible without compromising quality and we are constantly looking for ways to do just that," L.L.Bean spokesman Mac McKeever told Bloomberg. "Making these boots takes time." The duck boots take the weird appeal of Ugg boots but then add an element of rustic outdoorsiness (as no one should actually really wear their Ugg boots outside), therefore giving the wearer a bit of an edge. 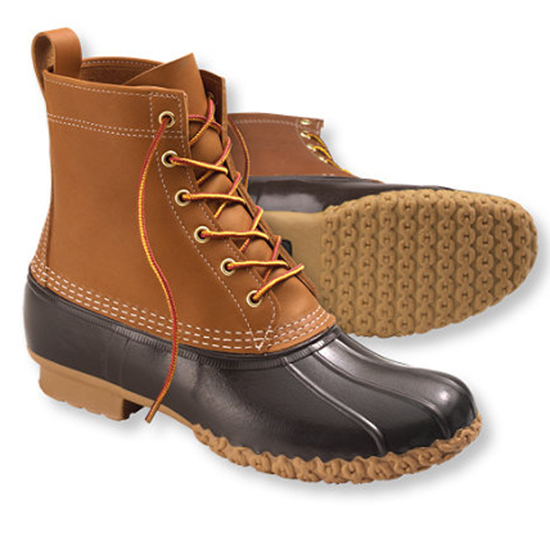 The L.L.Bean duck boots are Holden Caulfield while Uggs are whatever character Lauren Conrad writes about in her book. But if you were hoping to nab a pair for this winter, you better hurry up and order.